There are several travel agencies in Kenya that can fulfill your Kenyan dream safari or adventure. Kenya is a world-renowned tourist destination and one of the best safari destinations the planet has to offer. Even so, a lot of destinations remain unpopular to the rest of the world yet you can only find them in Kenya alone. One of the best ways to know a place better is to use the help of travel agencies. Tour operators and travel agencies in Kenya know almost all the destinations in the country that can interest tourists. If you are new to a place, it is advisable to use the assistance of travel agencies and tour operators. Due to their knowledge of the local destinations, they come in handy since they eliminate confusion and take you to destinations hassle free. In this article, we are going to list some of the best and most popular travel agencies and tour operators in Kenya so you know which one to pick. Some of the travel agencies listed here are well connected and they can give you a memorable holiday while some will just organize your transport and accommodation. The listed travel agencies here are professionals in all facets of the travel industry and they are listed under the Kenya Association of Tour Operators (KATO). They are able to organize for highly specialized travel needs including; Business tours, sports travel, corporate travel, government travel, medical travel as well as leisure travel. With this list of travel agencies in Kenya, you hold the keys to the most evocative experience and adventure in Kenya. These travel agencies are renowned for organizing countless safaris and have been in the industry long enough to understand what makes their clients happy. Whether you are looking for an evocative safari to the coastal paradise of Mombasa or a traditional safari around the Kenyan Jungle, all that is covered for you. Regardless of the tour company you choose, the following tour operators will give you the information you need about Kenyan destinations and other tourism products. KATO is a board that represents the interests of tour operators and travel agencies in Kenya. It is a highly competitive segment seeing that there are over 400 travel agencies in Kenya alone. KATO recommends certain standards that the government should implement in a move to improve the services offered by tour agencies. This company offers a selection of exciting Birding safaris, Wildlife safaris, Adventure tours, and Camping safaris through the Eastern part of Africa ranging from 4 – 37 days, many of which can be combined with a relaxing interlude on the coast. This company has licensed guides who are enthusiastic about their tour guiding jobs. Above all, excellence, experience, and ecological awareness are the qualities that make African Wildcats Adventure Safaris a very special company. This is one of the most popular and well-established travel agencies in Kenya. With the experience of over half a decade, Bonfire Adventures limited is a one-stop shop for all your travel needs. They are particularly popular for designing unique tours for their clients to fit their budget and expectations. 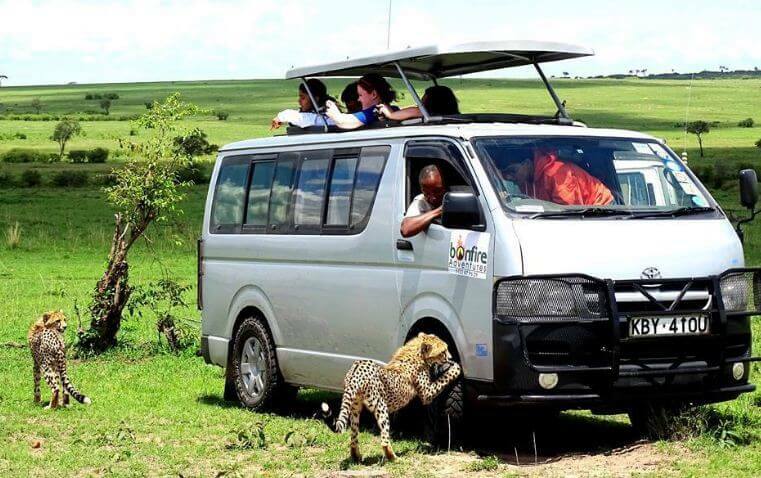 This is another travel agency in Kenya that has been in operation for over 25 years making it one of the most experienced and renowned tour companies in Kenya. They offer safaris to some of the best national parks and game reserves in Kenya and East Africa. Gamewatchers safaris combine aviation with a 4×4 experience to maximize wildlife viewing time. They airlift most of their clients to the respective national parks to cut short the travelling time hence maximizing the time spent viewing wildlife. This is another travel agency in Kenya that offers exciting safari packages for their clients. Some of the services they offer include; mountaineering, hotel bookings, car hire, lodge and camping safaris, Bird watching, beach holidays and much more. As mentioned earlier, there are over 400 tour agencies in Kenya. Here is a comprehensive list of all tour companies in Kenya.